As a research fellow at the Lowy Institute, together with colleagues and former colleagues, I have been researching issues confronting Australia’s consular service since 2009. The issues we have uncovered were first canvassed in 2009 in the Institute’s Blue Ribbon Panel Report, Australia’s Diplomatic Deficit, and dealt with again in the 2011 update to that report, Diplomatic Disrepair.1 In March 2013 the Institute released my policy brief Consular Conundrum: the rising demands and diminishing means for assisting Australians overseas, in which I outlined some of the challenges affecting the delivery of consular services and proposed some possible policy responses.2 I have drawn substantially on these publications in preparing this submission. In an average year, DFAT provides general welfare and guidance in over 20,000 consular cases.11 According to experienced consular officials, these cases are becoming increasingly complex and demanding. With globalisation has also come an increasing prevalence of expatriate and dual citizen arrangements,16 with around one million Australians living overseas at any one time.17 When crisis strikes, whether natural or man-made, it is harder for residents to uproot and leave. In the years since 2002, when Australia first allowed dual citizenship, it has provided the same level of assistance to its citizens regardless of whether they are also citizens of other countries, even in the country of their other residence or citizenship. Issues such as where citizens pay tax, their usual country of residence, where they vote, and their access to services by virtue of their other nationality, have not to date factored into Australia’s determination of whether to provide consular assistance.18 This high dual-citizen and expatriate population adds a further layer of complexity to an already overburdened consular service. Sometimes, however, these rising expectations are created not by crises over which governments have no control, but by acts of political expediency, driven by often hyperbolic media attention given to particular consular incidents. This becomes a vicious cycle: public expectations, already high and sometimes unrealistic, are stoked by media attention and the political temptation to provide ever-increasing levels of consular service. While there are numerous examples of this under successive governments, the case of the 14-year old boy (dubbed by the media “the Bali boy”), arrested in Bali for buying a small amount of marijuana in a street deal, illustrates the issue. The then Foreign Minister, responding to intense media coverage, became heavily involved and the Prime Minister personally interceded to speak to the boy on the telephone.28 This type of high-level political intervention is clearly unsustainable. As the Lowy Institute has observed in successive reports,29 the chronic under-resourcing of Australia’s foreign service has made the growing consular load even more unmanageable. With increasingly scant resources, the intensive and unpredictable consular workload threatens other, arguably more important, areas of DFAT’s work, and strains the rational conduct of Australia’s diplomacy. All of this comes at a time when Australia’s international circumstances are undergoing rapid and profound transformations. Australia is dealing with a rising China and the implications for its relationship with the United States. The global economy is struggling, new international players are emerging, and potential new conflicts are looming in our neighbourhood. 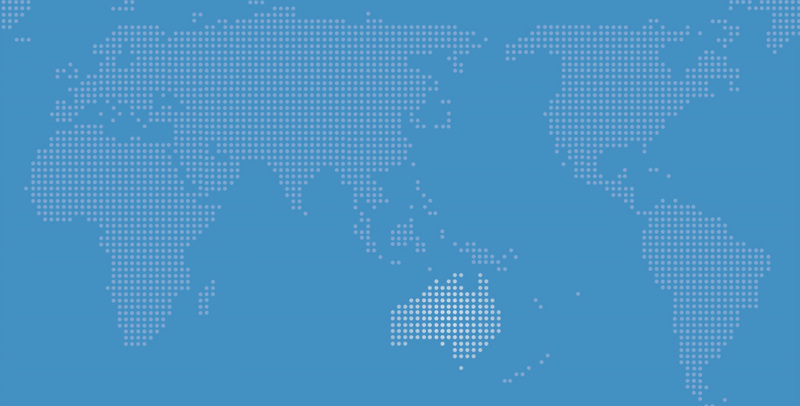 Australia has assumed new global responsibilities with a seat on the UN Security Council and chairmanship of the G20 in 2014. At a time when DFAT has multiple priorities, the department’s responsibilities are being compromised by the diversion of scant resources to consular work. DFAT’s revamped travel website smartraveller.gov.au, its simplified travel advisories, its Facebook page, and iPhone app which provides tailored travel notifications for particular destinations, are all initiatives moving in the right direction. At the very least, travellers who do not heed official travel warnings should be required to reimburse government for the cost of assistance provided to them in a crisis, including evacuation costs, while allowing for extenuating circumstances on a case-by-case basis. This system could be imposed via the Australian Taxation Office, or alternatively, passport renewal could be withheld until payment is received. Australians who access consular services when they encounter difficulty overseas should be charged for those services (again, allowing for extenuating circumstances on a case by case basis) if they have taken out no, or inadequate, travel insurance. Finally, Government should exempt DFAT from the Commonwealth Government’s efficiency dividend. This would allow DFAT additional funds on a sustainable basis to boost staffing and open new posts to serve both consular and diplomatic demands in priority locations such as Phuket and Eastern Indonesia. The Australian Government must urgently address the under-resourcing of the Department of Foreign Affairs in upcoming budgets to assist it in rebuilding its overseas network to a level consistent with Australia’s needs and interests in this globalised century. Priority should be given to opening new posts in the areas identified in the Parliamentary Inquiry report on Australia’s overseas representation.66 Some of these priority posts were identified primarily to meet pressing consular demand (such as Phuket), others to provide diplomatic representation in emerging centres of influence and economic opportunity (such as Eastern Indonesia, Central Asia and Africa). Expanding Australia’s diplomatic representation will achieve a better balance between its consular work and its other diplomatic responsibilities and opportunities, and assist in building a properly functioning international network. There is scope for limiting consular services for dual citizens when in the country of their other citizenship, where they are normally resident and in which they pay taxes.67 In extenuating circumstances, such as the risk of death penalty, assistance can be determined on a case-by-case basis. As outlined in Consular conundrum, any funding boost for DFAT should be accompanied by an examination of DFAT’s consular processes and structures to ensure that existing and any new resources are used to maximum effect. For example, DFAT should re-examine its current ‘one size fits all’ approach to crisis contingency planning, which ties up resources by not being tailored to the scale and nature of potential crises and risk profile of particular locations. It should also explore more innovative approaches to the recruitment of consular staff. The U.S. Department of State, for example, is trialling lateral recruiting options for limited non- career consular employees with existing language skills. These offer cost savings both in reducing short-term posting costs (like language training) and lowering the longer-term investment in permanent employees. DFAT needs to communicate more extensively on all available media platforms, and incorporate social media more effectively in its campaigns to reach a younger demographic which is increasingly sourcing information from non-traditional media. DFAT’s iphone application, which provides simplified and tailored travel advisories, should be replicated for Android phones. While software development can be costly, other nations have managed such costs in innovative ways, for example, by holding competitions for amateur software developers. Strenuous attempts should be made to broaden the distribution and awareness of the Consular Services Charter in which DFAT outlines the services which it can and cannot provide. DFAT should review its travel registration system. The current system, which allows registration online, is unwieldy and complicated, despite a recent overhaul (although the phone app registration is simpler). Prompted by low registration rates due to privacy concerns, and deterred by low-quality information from systems failing to filter out-of-date data, some countries are abandoning their registration systems altogether. Compulsory registration could be replaced by a ‘just in time’ registration which operates only during crises.69 Consequently, DFAT should shift focus from ‘registration’ to ‘insurance’ in its messaging. DFAT’s travel advisories, while improved, could be streamlined further. There is a large amount of ‘boilerplate’ information in most advisories, often obscuring more relevant, important messaging. ​Since the media is often a contributor to inflated public expectations of government service in consular matters, DFAT should devise specific programs to engage the media on consular issues. DFAT’s review of its consular strategy is timely and welcome. It comes at a time when Australians’ perceptions of the services government can provide overseas seem to have grown to a point where they expect that the full suite of welfare services will extend to across the globe no matter where they go or how they behave. Government must address these unrealistic expectations. More importantly, though, it must also address the ability and fitness of DFAT and Australia’s overseas network to provide an appropriate level of consular service, without neglecting the other functions that are crucial to the rational and effective management of Australia’s international interests. Adventure travel and extreme sports tourism that are more likely to cause injury or death are becoming more common.8 Travellers are visiting more exotic, unusual, geographically remote, and sometimes politically unstable destinations.9 The fastest-growing destinations, such as India, Sri Lanka, Thailand, Indonesia, Vietnam, and China10 are also places where consular work can be more challenging because of fewer and less sophisticated local services. 1 Lowy Institute Blue Ribbon Panel, Diplomatic deficit: Reinvesting in our instruments of international policy. March 2009; Alex Oliver and Andrew Shearer, Diplomatic disrepair: Rebuilding Australia's international policy infrastructure, August 2011. 2 Alex Oliver, Consular conundrum: The rising demand and diminishing means for assisting Australians overseas. Lowy Institute Policy Brief, March 2013. 3 Department of Foreign Affairs and Trade, Annual Report 2012-2013. Barton, 2013, p 137. 4 1136 arrests, 1247 deaths and 1372 hospitalisations in 2012-13, ibid., p 135. 5 DFAT, Submission to Senate Standing Committee on Foreign Affairs, Defence and Trade, Inquiry into the kidnapping of Australian citizens overseas. 2011, p 1-2. 6 Australian Bureau of Statistics, ABS feature article: International movements 2011-12, in 3401.0 - Overseas arrivals and departures 2012. 7 Interviews with senior DFAT consular officials, 31 October 2011. 8 Wilton Park, Contemporary consular practice: trends and challenges, conference report, https://www.wiltonpark.org.uk/conference/wp1258/, 3-5 September 2013, p 2. 9 The Hon. Kevin Rudd MP Minister for Foreign Affairs, Remarks at launch of Smartraveller III, Sydney International Airport. 25 November 2011; H. G. Pardy, The modernization of consular services: leveraging technology within a new concept of operations: the Canadian experience. Ottawa, WorldReach Software Corporation, 2004. 10 See ABS data, December 2013. 11 DFAT annual reports, 2001-2 to 2012-13; based on a 5 year rolling average. 12 DFAT, Annual Report 2002-2003. Barton, 2003, p 3, 126. 13 DFAT, Annual Report 2004-2005. Barton, 2005, p 146. 14 DFAT, Annual Report 2006-2007. Barton, 2007, p 9. 15 For example, 5,000 evacuated from Lebanon in 2006, DFAT, Annual Report 2006-2007. Barton, 2007, p 9. 16 Australian Citizenship Council 2000, Australian citizenship for a new century. February 2000, p 65 17 Minister for Foreign Affairs, Remarks at launch of Smartraveller III, Sydney International Airport 18 Wilton Park, Contemporary consular practice conference report, p 5. 19 For example, see Foreign and Commonwealth Office, 'Hello British Embassy. my jam won't set, can you help? ', 12 August 2009: http://www.fco.gov.uk/en/news/latest-news/?view=News&id=20686393; also Jordana Divon, Consular officials reveal oddest requests from Canadians. Yahoo News, 31 December 2011: http://ca.news.yahoo.com/blogs/dailybrew/consular-officials-reveal-oddest-requests-canadians-abroad- 150909940.html. 20 Email communication, DFAT, 17 January 2013. 21 Estimates range from 50% to 62% insured, in comparison with Britain’s 85%. Australian travellers run the risk of not purchasing travel insurance. 1Cover Direct Insurance blog, 21 February 2012: http://www.1cover.com.au/blog/201102/travel-insurance/advice/australian-travellers-run-the-risk-of-not- purchasing-travel-insurance.html; email advice from Australian Federation of Travel Agents, 24 July 2012; advice from senior officer, Consular Directorate, FCO. 22 49% 18-30 year-olds insured, 55% males insured, 73% overall insured: Woolworths Insurance, Woolworths Travel Insurance helps Aussies take cover these holidays, 11 February 2014, http://www.woolworths limited.com.au/page/The_Newsroom/Latest_News/Woolworths_Travel_Insurance_helps_Aussies_take_cover_these_holidays/. 23 For example, the ‘bar mat mum’ incident in 2009 in Alex Oliver, Consular conundrum, p 3. 24 Anne Hyland, When the going gets tough Aussie travellers whine. The Australian Financial Review, 13 December 2008. 25 Brendan Nicholson and John Lyons, 'Plane a day' set for Cairo. The Australian, 2 February 2011. 26 Hugh White, Looking after Australians overseas, Policy Brief, Lowy Institute for International Policy, 2007, p 10. 27 Australian tourists defy Egypt travel warnings despite protests against President Mohamed Morsi, news.com.au, 3 July 2013. 28 Andrew Bolt, Ego wrestle between PM and Rudd on Bali teen, Herald Sun, 12 October 2011: http://www.heraldsun.com.au/opinion/ego-wrestle-between-pm-and-rudd-on-bali-teen/story-e6frfhqf- 1226164323894. 29 Diplomatic deficit, Diplomatic disrepair, and Consular conundrum. 30 See Oliver and Shearer, Diplomatic disrepair, p viii, updated with latest resourcing figures from DFAT Annual Report 2012-2013, p 184. 31 DFAT staffing increased 6% between 1997 and 2013; data from Commonwealth Budget, Budget paper No. 1, Statement 6, and equivalent budget papers from 2000-1 to 2011-12. 32 Oliver and Shearer, Diplomatic disrepair, pp 7-10. 33 Dennis Richardson, Transcript, Parliamentary Joint Committee on Foreign Affairs, Defence and Trade, Australia’s overseas representation, 10 February 2012, p 2; Foreign Minister Bob Carr, Estimates (Proof Committee Hansard). Senate Foreign Affairs, Defence and Trade Legislation Committee, 30 May 2012, p 13; and see Alex Oliver, Rebuilding Australia’s diplomatic network … when circumstances allow, http://www.lowyinterpreter.org/post/2012/10/30/Repairing-Australiae28099s-diplomatic-network-e280a6- when-circumstances-allow.aspx. 34 Senate Estimates, 30 May 2012, p 12. 35 DFAT, Incoming government brief prepared for the Minister for Foreign Affairs, September 2010, p 154, in Oliver and Shearer, Diplomatic disrepair, p 10. 36 Nicholas Horne, The Commonwealth efficiency dividend: an overview, Parliamentary Library, 13 December 2012, http://www.aph.gov.au/About_Parliament/Parliamentary_Departments/Parliamentary_Library/pubs/BN/2012-2013/EfficiencyDividend#_Toc343007816, pp 8-9. 38 Giorgio Porzio, Consular assistance and protection: an EU perspective. The Hague Journal of Diplomacy 3 (1) 2008, p 95; Donna Hamilton, The transformation of consular affairs: the United States experience. Discussion paper in diplomacy 116. The Hague, Netherlands Institute of International Relations 'Clingendael', 2009, p 15; Maaike Okano-Heijmans, Change in consular assistance and the emergence of consular diplomacy. Clingendael Diplomacy Papers no. 26. The Hague, Netherlands Institute of International Relations 'Clingendael', 2010, p 17; interviews with senior Canadian consular officials April 2011. 39 Dennis Richardson, DFAT Secretary, Senate Estimates. 24 February 2011, p 28. 42 See Wilton Park, Contemporary consular practice conference report; Oliver and Shearer, Diplomatic disrepair, pp 2, 6, 24. 43 Question by British High Commissioner Paul Madden, Richardson, DFAT: who are we and what do we do? Speech for the Lowy Institute Distinguished Speakers Series, National Portrait Gallery, Canberra. 44 Oliver and Shearer, Diplomatic disrepair, p 2; The Foreign and Commonwealth Office, January 2012 https://www.gov.uk/government/uploads/system/uploads/attachment_data/file/32884/about-fco.pdf. 45 Oliver and Shearer, Diplomatic disrepair, pp 2-3.
International Institute for Strategic Studies, The Military Balance 2013, p 41; OECD Statistics, http://www.oecd-ilibrary.org/development/development-aid-net-official-development-assistance- oda_20743866-table1. 47 In terms of number of missions; Oliver and Shearer, Diplomatic disrepair, pp 2-3. 48 Oliver and Shearer, Diplomatic disrepair, p 4. 49 Secretary’s Review, DFAT Annual Report 2011-12, p 5. Foreign Affairs, Defence and Trade Inquiry into Australia’s overseas representation, 30 November 2011, pp 9-11, http://www.aph.gov.au/parliamentary_business/committees/house_of_representatives_Committees?url=jfadt/overseas%20representation/subs.htm, p 10-11. 51 Joint Standing Committee on Foreign Affairs, Defence and Trade (JSCFADT), Australia’s overseas representation – Punching below our weight?, October 2012, p 16. 52 See Appendix, Table 1; JSCFADT, Australia’s overseas representation – Punching below our weight?, October 2012, p 16. 53 Shearer, Hanson and Oliver, Submission to Inquiry into Australia’s overseas representation, 30 November 2011, pp 9-11. 54 See Appendix, Table 2; DFAT consular case breakdown, data provided by DFAT, April 2013. 55 DFAT, Consular Strategy 2014-15, Issues paper. 56 DFAT, Supplementary submission to the Inquiry on Australia’s overseas representation, 19 March 2012. 57 Interviews with consular officials of the State Department, DFAIT Canada, FCO and Netherlands Foreign Ministry; White, Looking after Australians overseas, p 12. 58 e.g. Foreign Affairs and International Trade Canada, Consular Services 2012: http://travel.gc.ca/about/assistance/consular; Foreign and Commonwealth Office, When things go wrong: sick or injured abroad 2012: http://www.fco.gov.uk/en/travel-and-living-abroad/when-things-go-wrong/sick- injured; Department of Foreign Affairs and Trade, Smartraveller: Consular Services Charter: http://www.smartraveller.gov.au/services/consular-services-charter.html. 59 Department of Finance and Deregulation Commonwealth of Australia, Report of the review of the measures of agency efficiency March 2011, p 13; Dennis Richardson, Estimates (Proof Committee Hansard). Senate Foreign Affairs, Defence and Trade Legislation Committee, 30 May 2012, p 12. 60 JSCFADT, Australia's overseas representation, Recommendation 12, p 72. 61 Minister for Foreign Affairs, Overseas consular and crisis response - strengthening assistance to Australians. 62 Foreign and Commonwealth Office, Consular Services annual report 2008/09. London, FCO, 2009, p 8. 63 Calamity Fund: Guarantee: http://www.calamiteitenfonds.nl/calamiteitenfonds/index.asp?uid=2. 64 Ann Harrap, Making Australians fit for travel, in The Interpreter 2013, http://www.lowyinterpreter.org/post/2013/04/02/Making-Australians-fit-for-travel.aspx, 2 April 2013. 65 JSCFADT, Australia’s overseas representation; Australian Government, Australia in the Asian Century, White Paper, October 2012, p 254; The Liberal-National Coalition, The Coalition’s policy for foreign affairs, September 2013, p 7. 66 JSCFADT, Australia’s overseas representation, pp 45-46. 67 Wilton Park, Contemporary consular practice conference report, 2013, p 5. 69 Wilton Park, Contemporary consular practice conference report, p 3. 70 Minister for Foreign Affairs, Remarks at launch of Smartraveller III, Sydney International Airport, 2011.